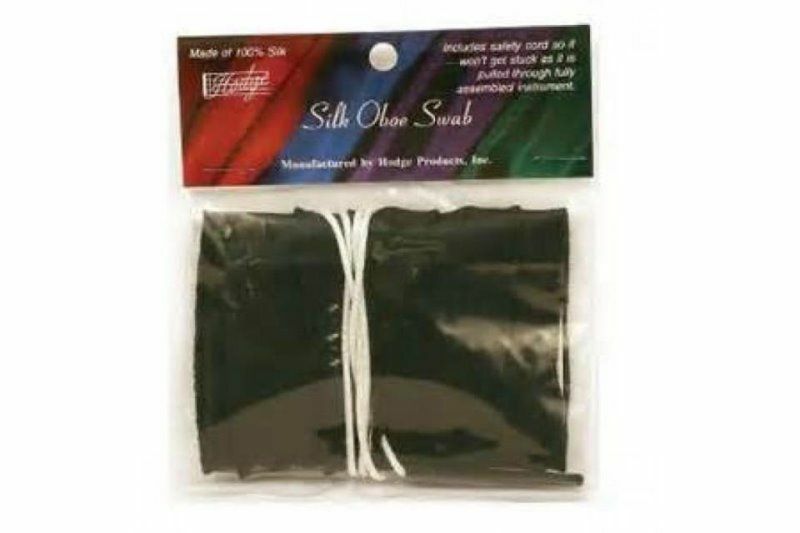 The Hodge Premium Oboe Swab is made from 100% silk for removing moisture from woodwind instruments after each use. Hodge uses silk because it is absorbent, lint free and compressible. The swabs are large enough to wick the moisture out of the larger part of the bore, but compressible enough to pull through the neck. They pull through the fully assembled instrument. They do not leave lint in the keys. They are not stored inside the instrument so the moisture does not remain. 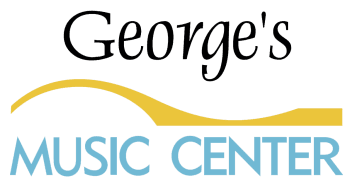 Hodge swabs are regularly recommended by repairmen for optimum care of your instrument. 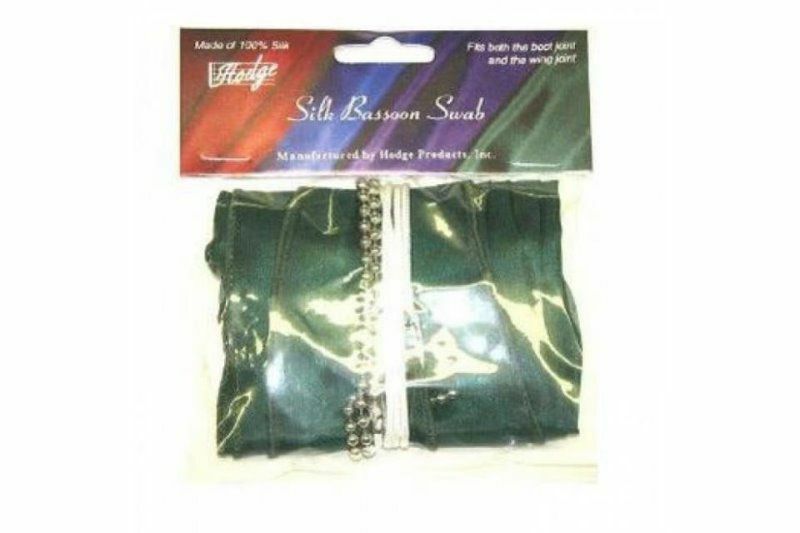 All Hodge silk swabs are made from 100% Chinese silk, very absorbent, very compressible to avoid bunching, and lint free. Swabs are made using a ball chain. Black silk, designed to go through both the boot joint and the wing joint.